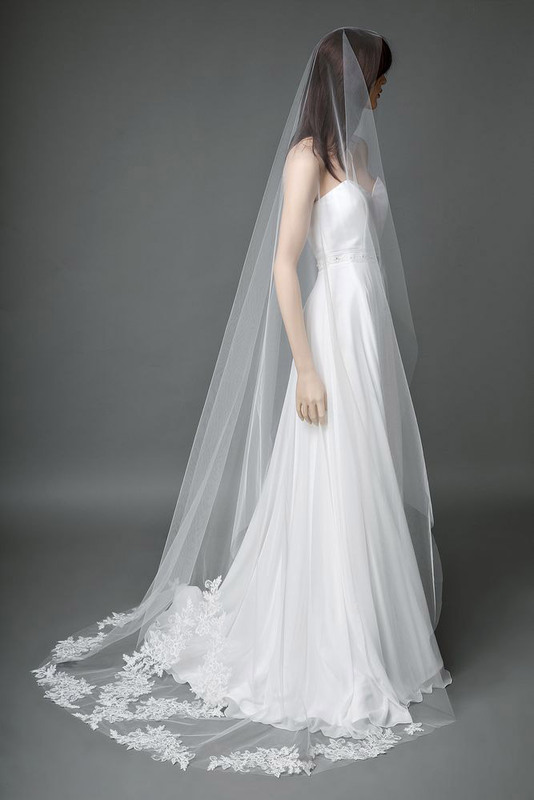 On her wedding day, the bride wants to look the most beautiful and charming. 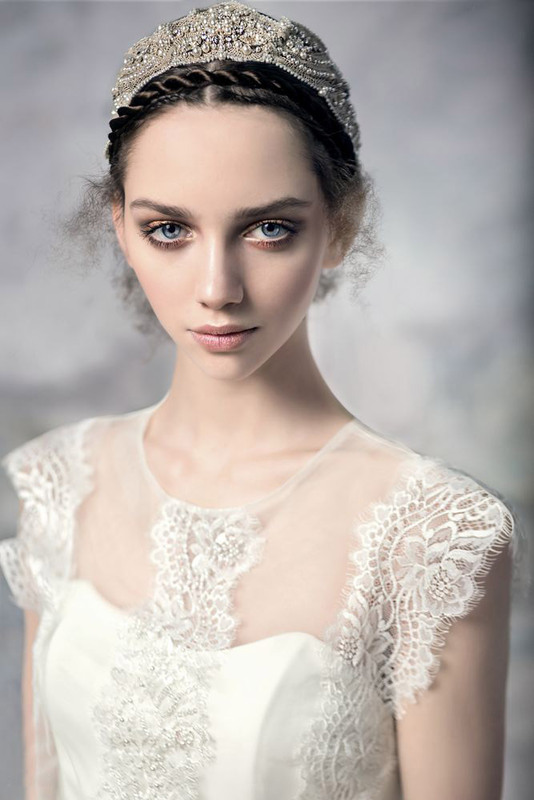 It takes months to plan and perfect her bridal look. 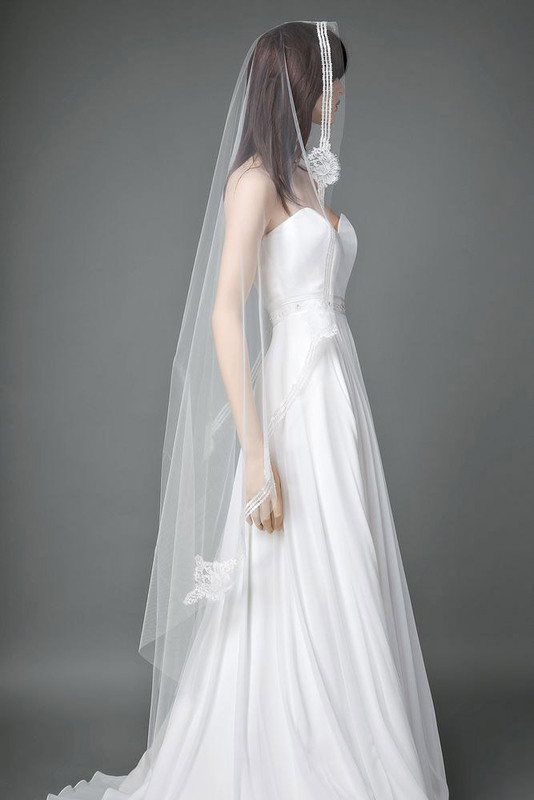 First, girls usually choose their wedding dresses. Sometimes, it can be one of the most challenging and stressful tasks, taking months of searching and thinking before the decision is finally made. 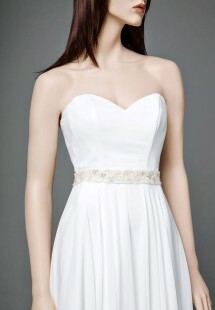 Sometimes, it is an easy and relaxing experience, especially when girls know what dress they want. 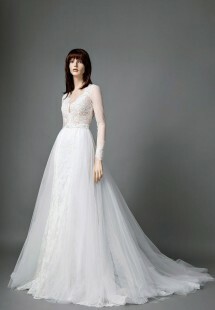 After finding the perfect wedding dress, the bride starts to look for shoes. It often causes many brides to forget about accessories. She gets overwhelmed with the rest of wedding planning and leaves this decision for a later date. 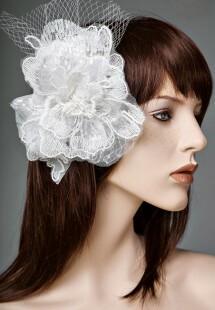 However, bridal accessories are important additions to the bridal look. 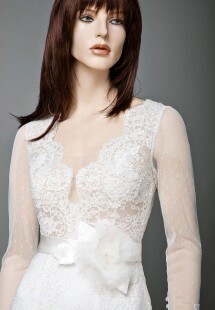 They usually transform and complete the bridal look. 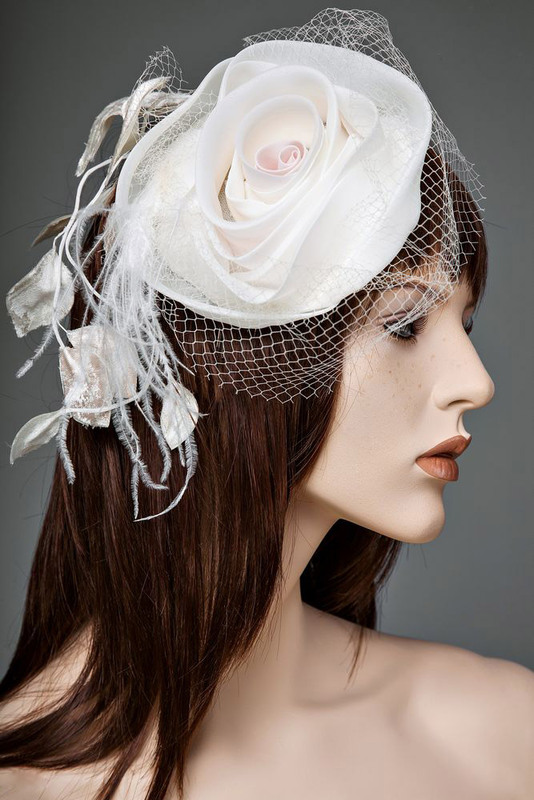 Accessories speak to the bride’s style, personality, and unique self. 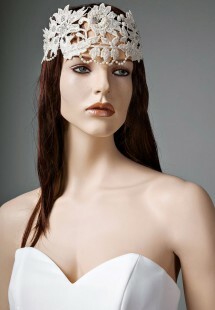 At Papilio, we recommend thinking of your bridal accessories while shopping for a wedding dress. 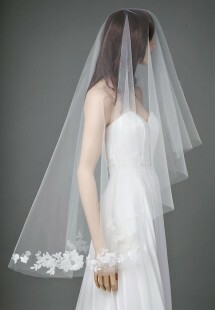 Of course, the bridal veil remains the most common wedding accessory, being the oldest in the category. 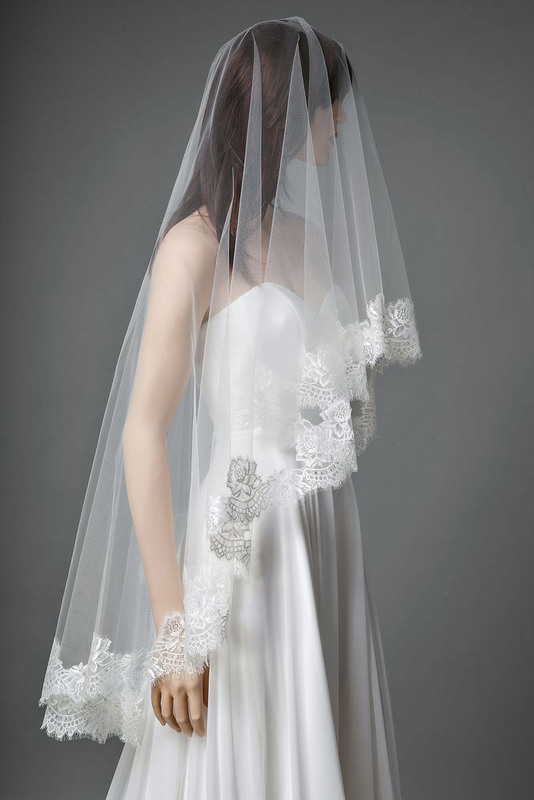 In ancient times, girls used to cover on their wedding day to protect themselves from evil spirits. 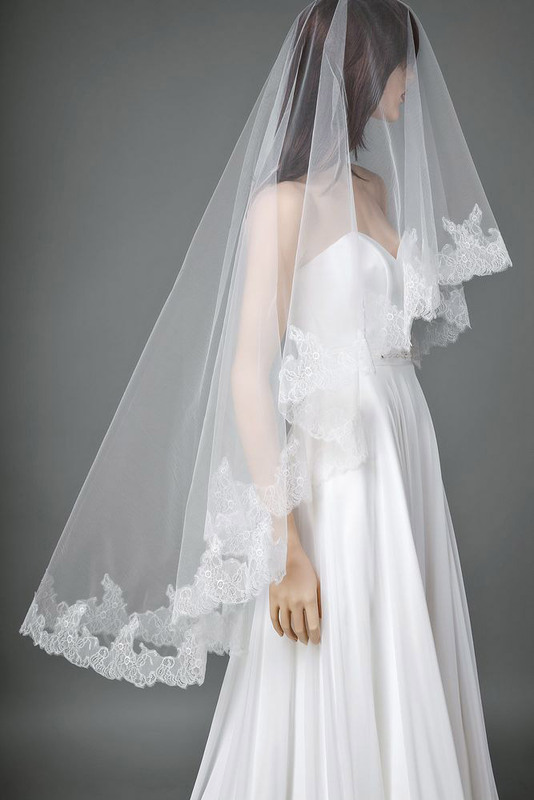 Greek women hid their faces under a piece of yellow fabric when walking down the aisle, while Roman women used red fabric. 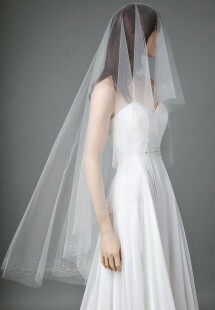 Those were the first bridal veils. 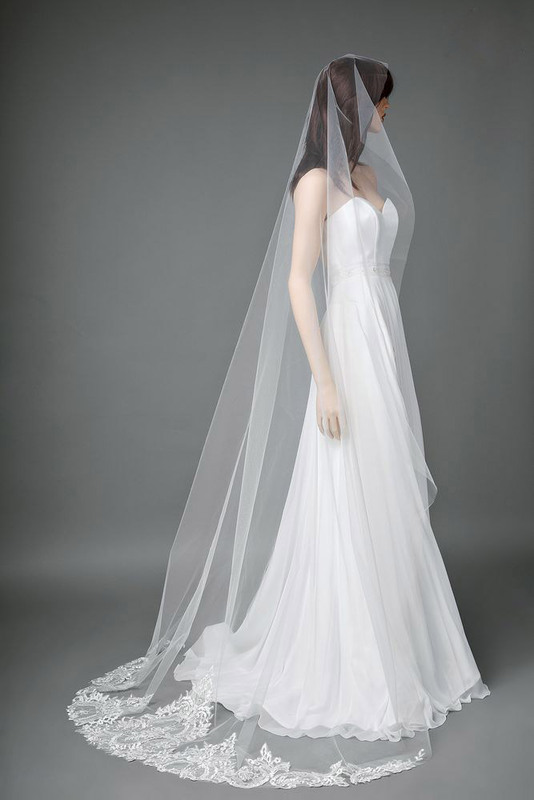 Our ancestors believed that the longer the veil was, the happier your life and family would be. 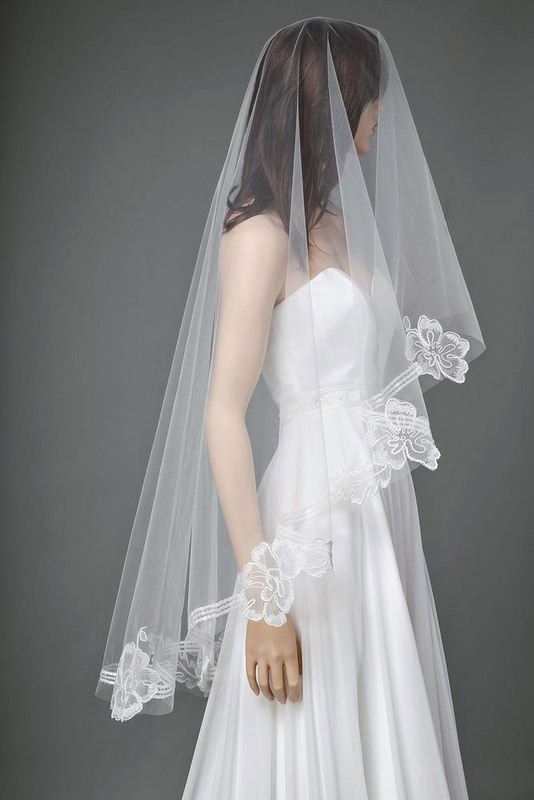 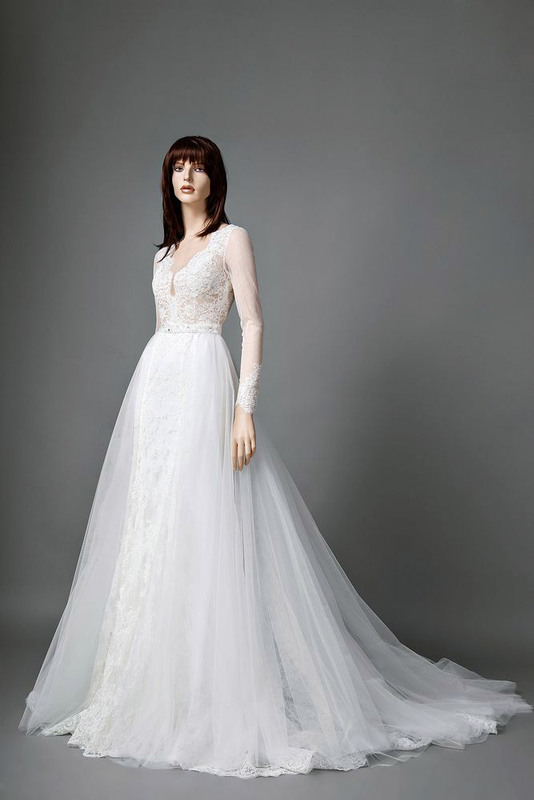 Throughout history, wedding veil fashion has changed dramatically. Today, some brides even opt out of wearing a veil. 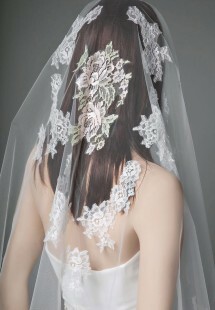 Nowadays there are a variety of veils available in terms of length, colors, and designs. 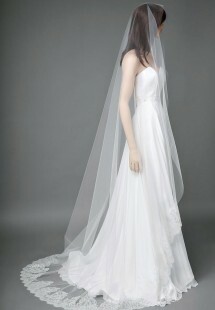 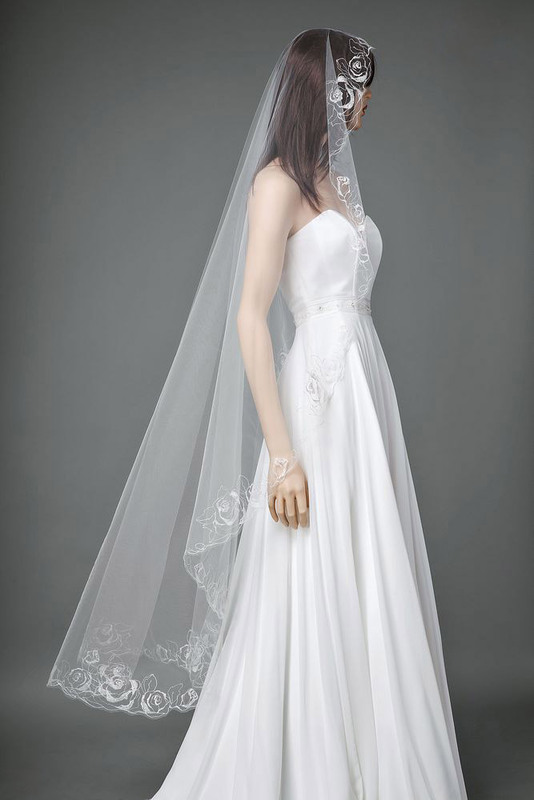 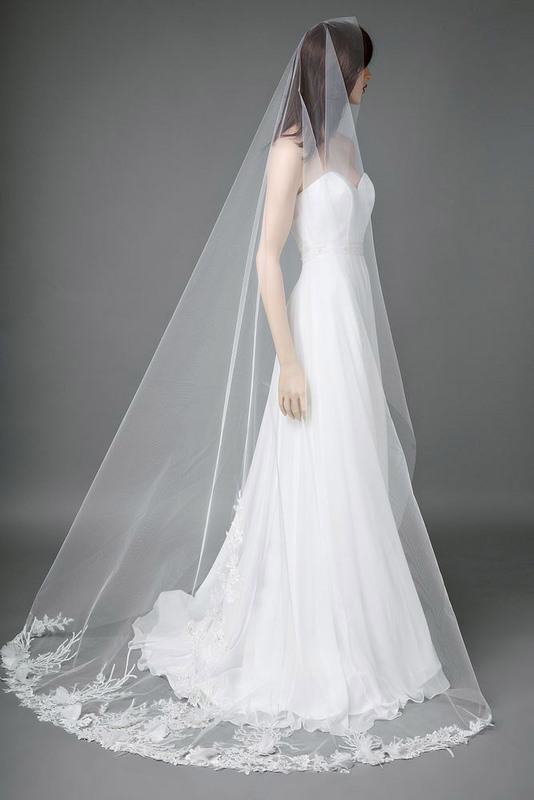 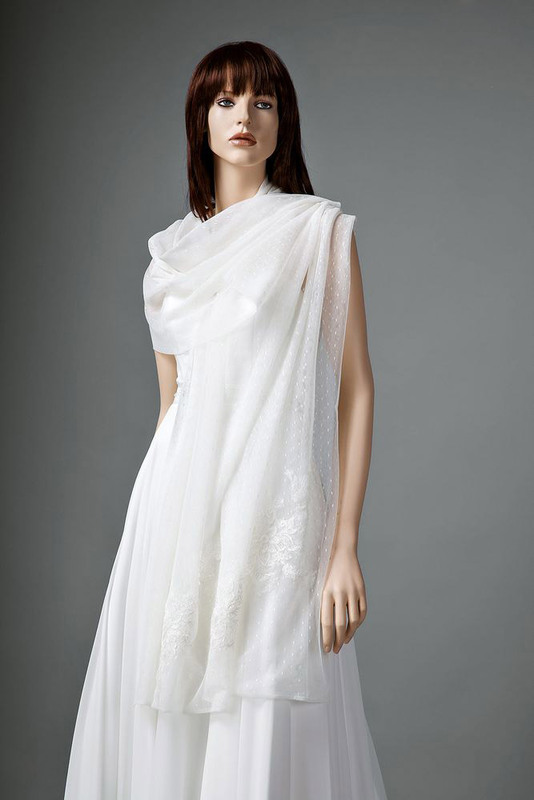 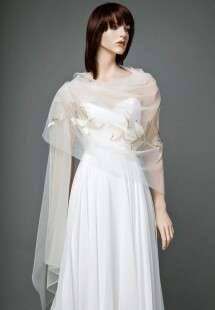 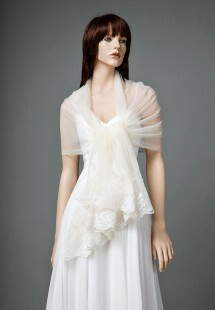 Papilio offers simple veils and those with intricate details in white, ivory, blush and champagne colors. 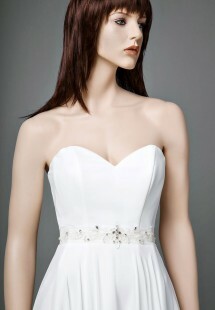 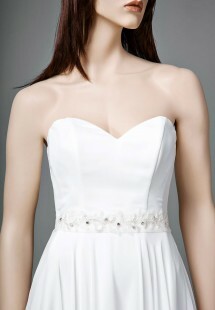 Another bridal accessory is a sash or belt. 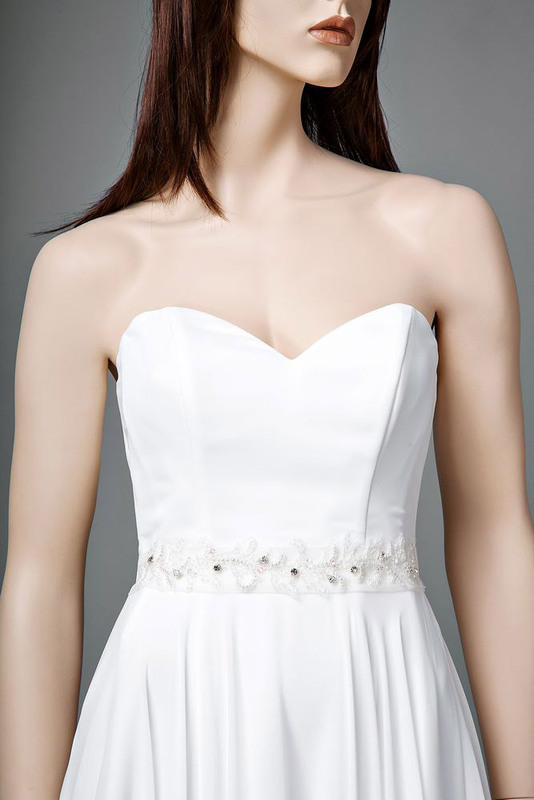 A beautiful sash can not only decorate a wedding dress but also upgrade the whole bridal look by accentuating the bride’s waistline and adding extra details. 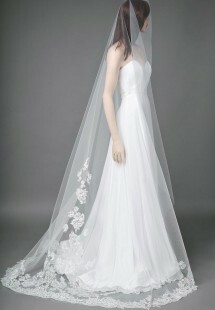 If you have a simple wedding dress without elaborate beading and embroidery, you must try it with different sashes. It will add a touch of sparkle and uniqueness to your dress. 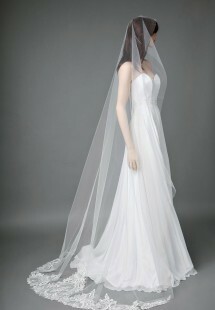 You can find sashes made of satin, chiffon, and velvet decorated with embroidery, appliqués, beading, and handmade décor. 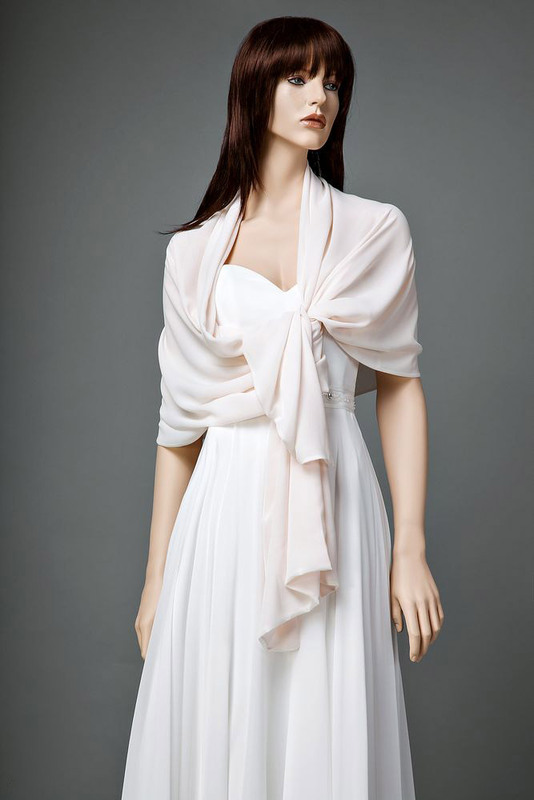 Bridal jackets, bridal scarves, and wedding wraps have been considered the old-fashioned elements of bridal apparel for many years. 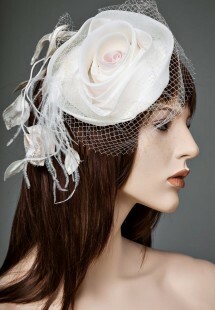 Girls did not want to use them because they are too conservative for the modern wedding fashion. 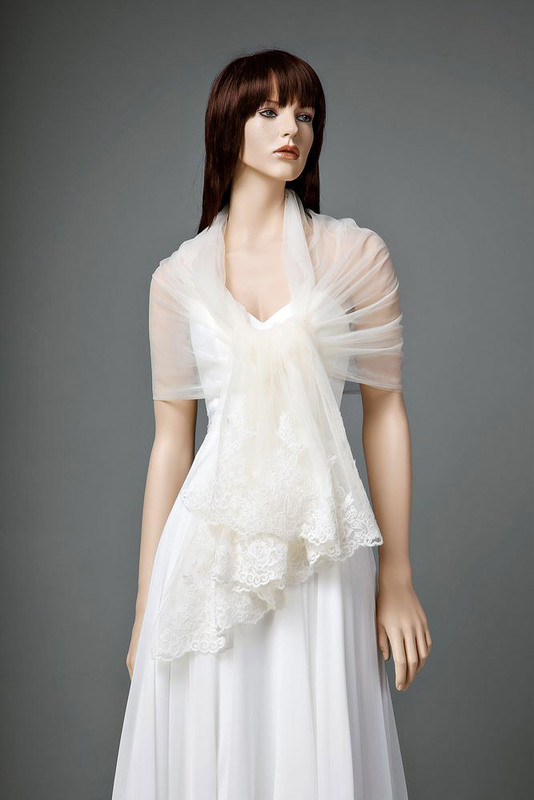 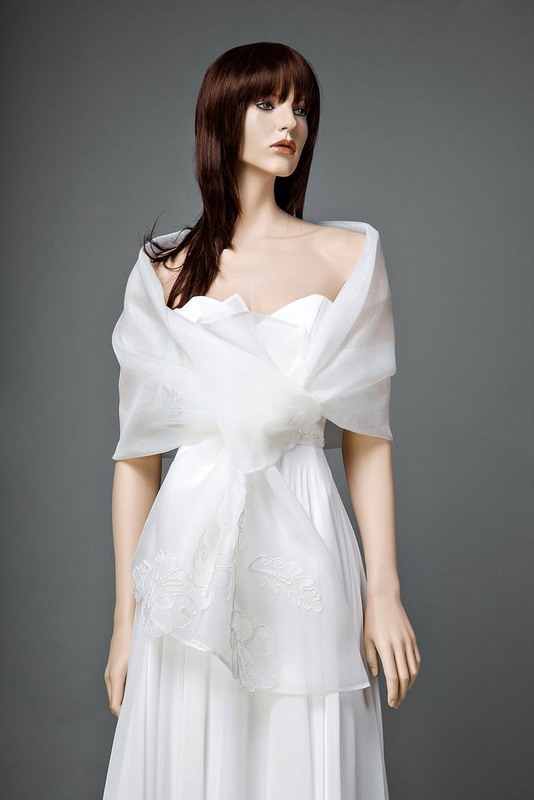 Bridal jackets and boleros are mostly used for traditional church weddings to cover the bride’s shoulders when wearing a strapless wedding dress. 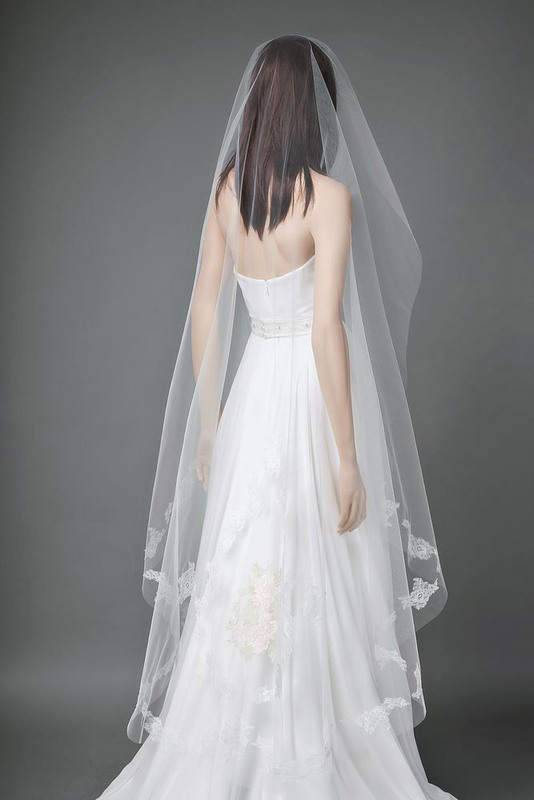 Today, bridal cover-ups have made a comeback. 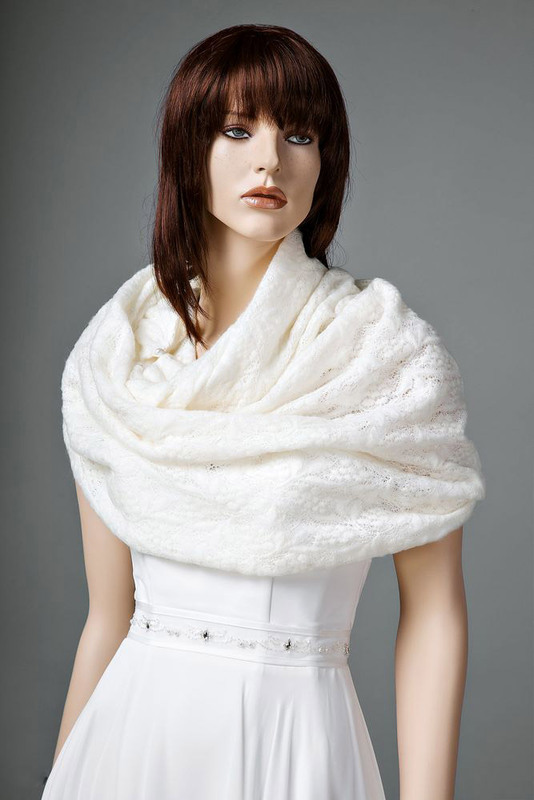 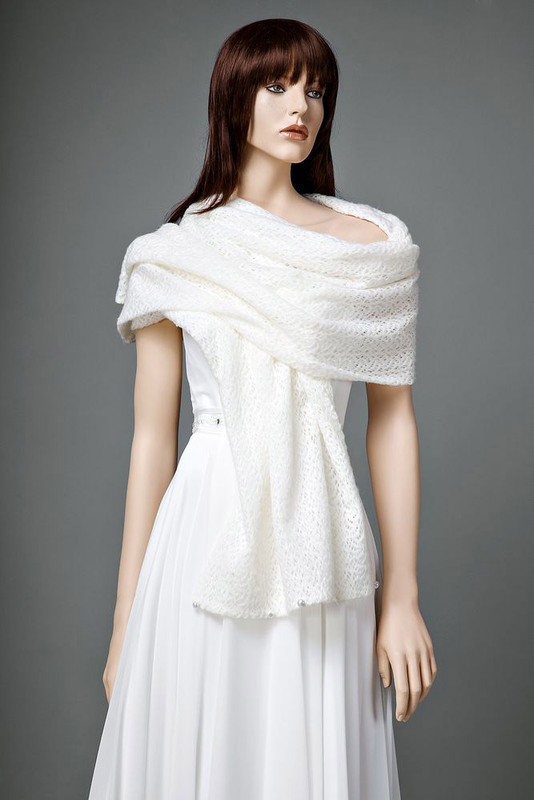 There is a huge selection of beautiful bridal jackets, bridal scarves, and shawls for those getting married in the fall, winter, or even the early spring. 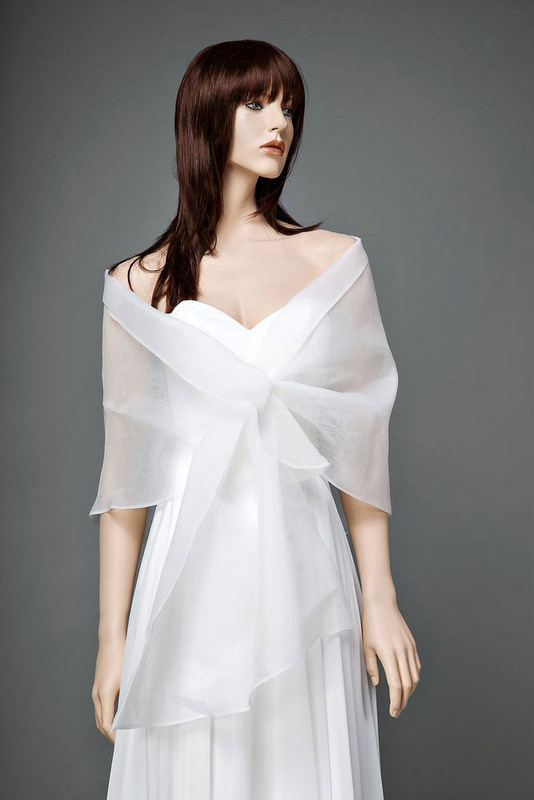 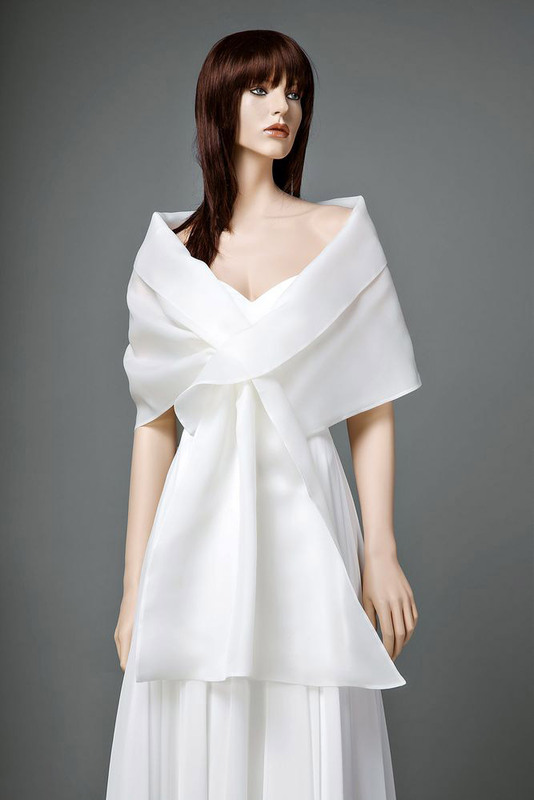 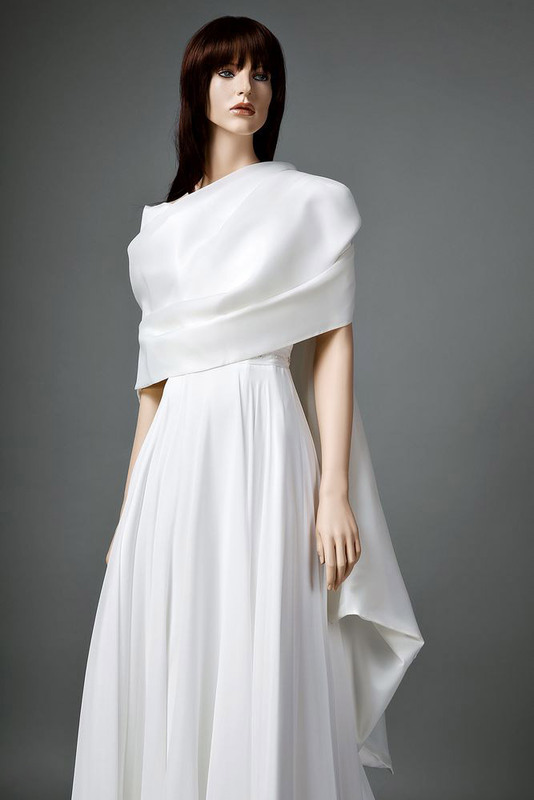 Papilio designers used luxurious taffeta, light organza, and soft cashmere to create wedding cover-ups, and offered many options for all stylish brides looking to cover up. 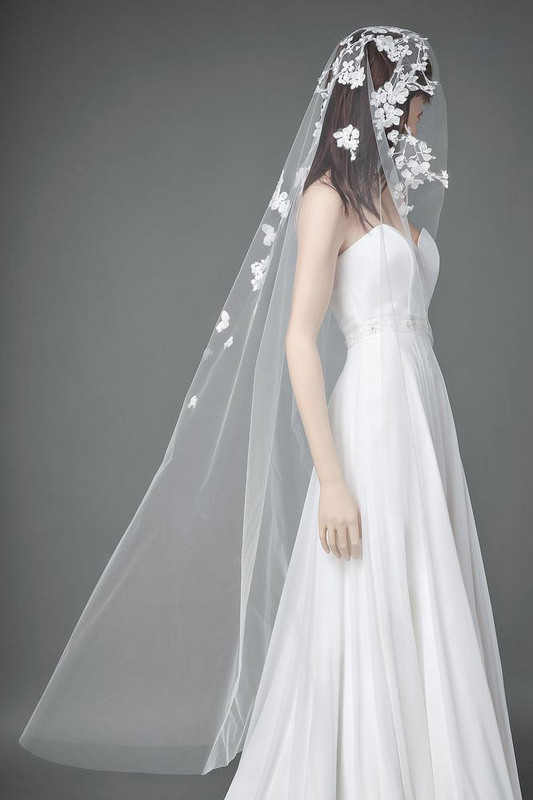 At Papilio Boutique, not only will you find your dream wedding dress, but you will also be able to complete your bridal look by pairing it with handmade wedding accessories. Papilio offers a gorgeous selection of wedding headpieces, veils, and bridal sashes, as well as wedding cover-ups, bridal scarves, shawls, and wedding wraps. 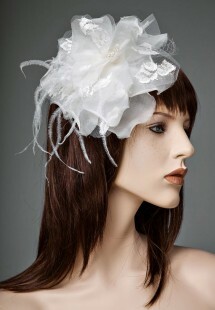 Papilio bridal accessories will add charm and elegance to your big day.